Needing a good laugh? 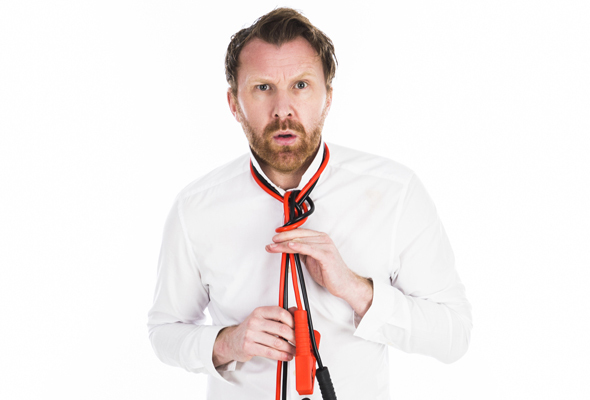 Then get ready, as famous Irish funnyman Jason Byrne is heading to Dubai this April. The Irish comedian will be performing live at The Baggot, McGettigan’s JLT in Dubai for a two-day show on Thursday April 25 and Friday April 26. Previously described as ‘The outright king of live comedy’, Byrne has an original brand of intelligent and slightly lunatic comedy that really makes him stand out. In his live comedy sketches, the famous funnyman shares his hilarious and unique experiences with the audience, with a unique style of comedic delivery guaranteed to make you laugh all night long. Tickets are now on sale for the gig, priced at Dhs120. It’s not the first time the Ireland’s Got Talent star has visited Dubai. The entertainer previously performed at the McGettigan’s Comedyfest back in 2011 – which means he’s had plenty of time to come up with some new material for your comedic relief. The show is a sure sell out so grab your tickets before they’re all gone.